Mrs. Carter (or Beyoncé, Queen Bey or whatever she's called) is World music royalty. People of the world worship her and every move she makes, with websites like MTV making lists of why she's the queen and makes literally everyone tweet "YAASSSS", with 10 million emojis. I don't understand all the hype around her and her empire - here's why. Let me get one thing out of the way right from the start - I do think she's a great singer and creates music to bring change, but millions of artists do the same. She also has such a hold on the PR world and music industry that everything bad she ever does (including being so self-centered and out-of-touch with reality that she has an "archive" of every photo taken of her) is just brushed over and swept under the rug, making her almost untouchable. Also, her team have asked different media outlets to delete seemingly "normal" pictures of her performing at the Super Bowl, whilst she was almost praised for nearly falling over during her performance whereas if another star did that, they would just be laughed at and ridiculed, turned into an internet meme forever more. 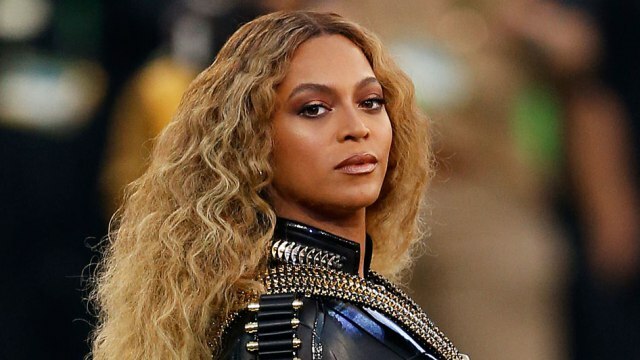 She has also come under fire for photoshopping her photos and doing nothing in the Kelly Rowland/Jay-Z lift incident - what kind of role model does that give to young kids and people who idolise Beyoncé? Just to stand back and let your cousin beat up your brother-in-law? Or have an unrealistic image of beauty standards, even covered up by the seeming Queen of music? She's got so much money that her grandkids wouldn't have to work a day in their lives, so I don't see why she can't just quit while she's ahead and we see her with no makeup and in trackie bottoms ? I might be more inclined to support her as a person if I saw that instead of this sexualised, perfect human that she's created and has to keep up everyday, with her self-centred personality and amazing ability to avoid being in the wrong. Do you think Beyoncé's the queen or that she's had her time in the spotlight? Let me know in the comments.